feathered Jerry Lee Lewis alert. 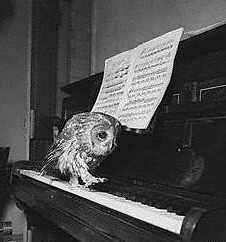 This entry was posted in pics and tagged owl playing piano. Bookmark the permalink.